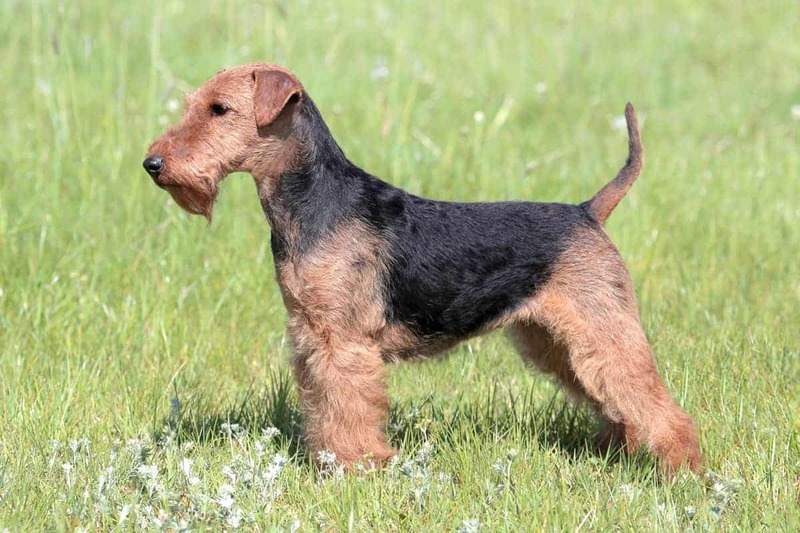 The Welsh Terrier belongs to the Terriers in the FCI grouping. 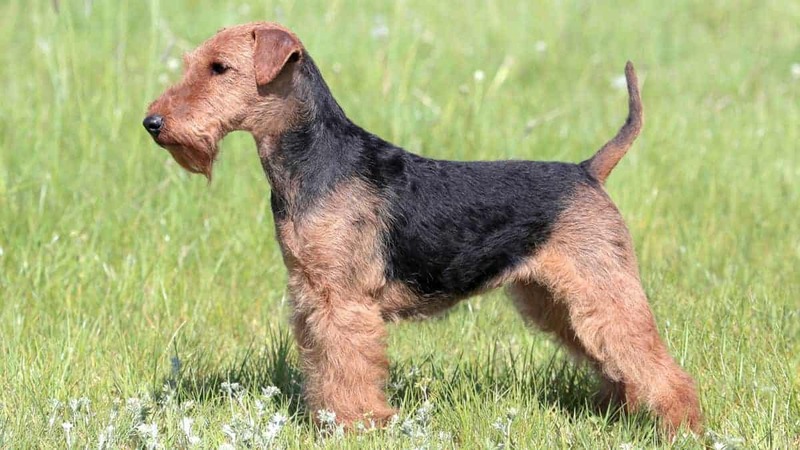 The Welsh Terrier is classified under the Terrier group in the AKC grouping. Is the Welsh Terrier allowed as a pet in a Singapore HDB flat? Wales, 1700s. Originally called the Black and Tan Wired Haired Terrier or the Old English Broken Haired Terrier, the Welsh Terrier was bred for hunting badger, fox and otter. The breed was first shown in 1884. The early dogs were too rough to be competitive in the show ring, and breeders improved the bloodline through selective breeding and crossing the breed with the wire fox terrier. The Welsh Terrier became a competitive show dog, but has never attained the success that smaller, long-legged terriers achieved. Ratting; hunting otters, foxes, badgers. Cheerful, independent, alert, fearless, calm, spirited. Milder than many other terriers and hunting breeds. Superior watchdog. Enjoys water. Some may be difficult to housebreak. Welshies like to climb; expect him to grace your tables and other high furnitures. May dig or bark. The Welsh Terrier has a tendency to chase after anything that moves. Exercise caution when letting them off their leash. What are some Physical Features of the Welsh Terrier? 38 cm; 9 to 11.5 kg. Colour is tan and black or grizzle with a black jacket marking over the back. Welsh Terrier puppies are usually born all black and their coat lightens to reveal the black jacket marking. Wiry, short. Fairly high maintenance; grooming twice a week. Professional grooming is recommended; show dogs’ coat needs to be plucked two to three times a year; clipping for pets. The Welsh Terrier is a light shedder. The life expectancy of the Welsh Terrier is between 10 and 13 years. Patellar luxation. Some lines are prone to skin irritation and eye problems. Moderate to high. An untiring dog, the Welsh Terrier needs to be taken for daily walks. Adapts well to any living situation. Will do fine in an apartment provided they are sufficiently exercised. Very active indoors and a small yard is desired. Tends to bond to one person. Good with older children but not good with toddlers. Wary of strangers. The Welsh Terrier is good with other dogs (well, better than most other terriers) when socialised early. Due to the strong prey drive, supervision is recommended when with cats and smaller animals. Average; early obedience training a must. Make effort to avoid repetitive training unless you want to bore him. Should You Play Tug with Your Dog?